Canyoning courses are not scheduled on the calendar and will only be offered for exclusive people or groups who request it. The Canyoning Introduction Courses are intended for anyone who has never practiced canyoning or doesn’t know the necessary techniques to carry out the activity safely. The Introduction course is divided into three sub-levels. Each sublevel is a day of activity (5 hours). Interested parties may choose the course for which they wish to start depending on their knowledge. Upon completion of the Initiation III course, participants will have the necessary knowledge to practice canyoning autonomously. A course where basic canyoning maneuvers, security systems and possibilities and practice of canyoning in Mallorca are taught. ropeless progression… and much more. We’ll emphasize the practice of canyoning in Mallorca, their chances and practice minimizing the environmental impact. The Introduction I course is performed in a dry ravine of the Serra de Tramuntana, to maneuver more easily. Knowing the sport of canyoning and its possibilities in Mallorca. Understand and use the technical equipment. Learn how to use safety knots. Abseil with the eight safely using the safety maneuvers. Our guides and instructors have extensive experience with all types of people and groups. Contact our reservation center to inform with everything you need. Do you want to choose when and how to enjoy your exclusive course? Contact our reservation center and our best guide will accompany you on an adventure fully adapted to your needs and preferences. SPECIALPRICE if you book your pack of 3 introductory courses! 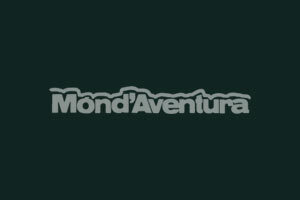 15% DISCOUNT on all items in the store of Món d’Aventura during the 30 days following the completion of any course!